What a thrill to see our Marlborough Street Project featured in the summer 2018 issue of Boston Home! This 3,100 sq. 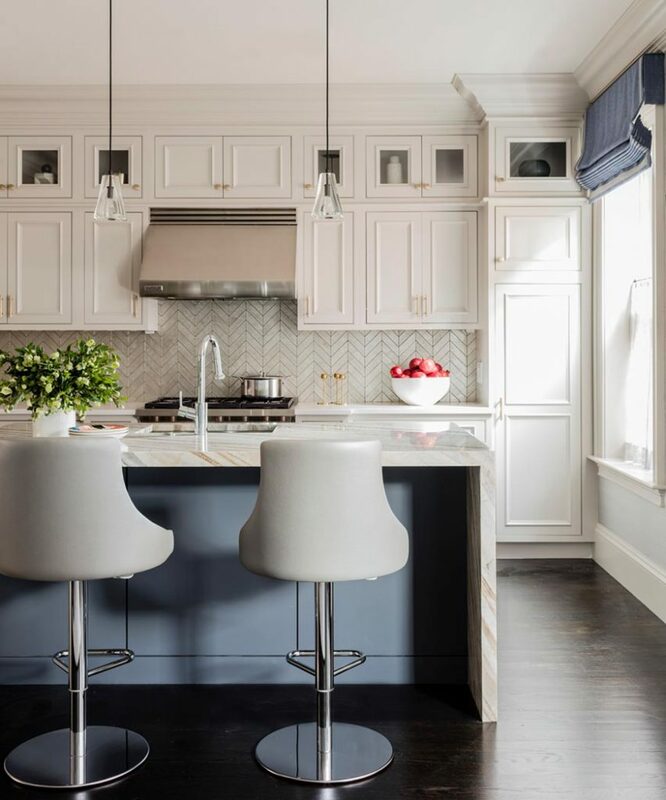 ft. Back Bay townhouse was purchased as a second home by our clients – a young family from the suburbs looking to plant roots in the city. What started as a “very vanilla” apartment, became a ripe opportunity for the Elms Interior Design team to liven things up! With a palette of greys, silvers, and creams, finished with intricate custom details, and luxe furnishings, we transformed this two-story home into a perfect urban oasis for this family of five.